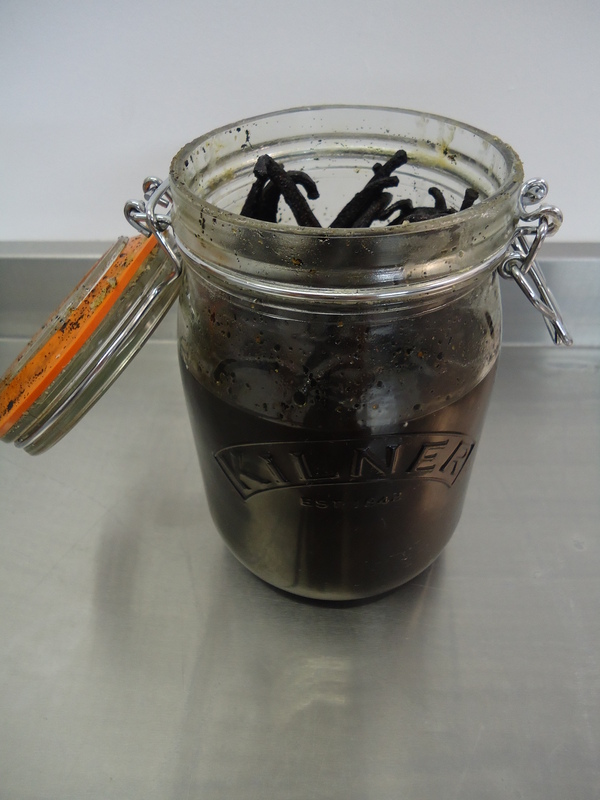 That’s right; a few months back Xavier got an idea into his head that he could make vanilla essence from scratch– an ingredient that we use a lot in our products – most notably in his infamous butter cream. Anyway, when we were in the kitchen one morning I said “don’t be stupid we can buy some vanilla essence in” and Xavier, well, being Xavier did what he normally does and completely ignored me and made it anyway! A few months later (as we had to wait for the syrup to infuse with the vanilla) and a jar of beautifully scented vanilla essence arrived; Xavier had proved me wrong and I was very impressed! Homegrown and straight from the jar! Today the ingredient is a mainstay in our kitchen cupboards and we’re using our home grown vanilla essence now more than ever in our products. Xavier is a bit of a maverick in the kitchen to say the least and he only wishes he could have more free time to innovate new products because he loves trying to come up with new creations. It goes to say Xavier deserves a round of applause for his majestic work and we can now be proud of yet another product being made completely from scratch in our kitchen.